dimensions: (in cm): 104 / 72 cm. 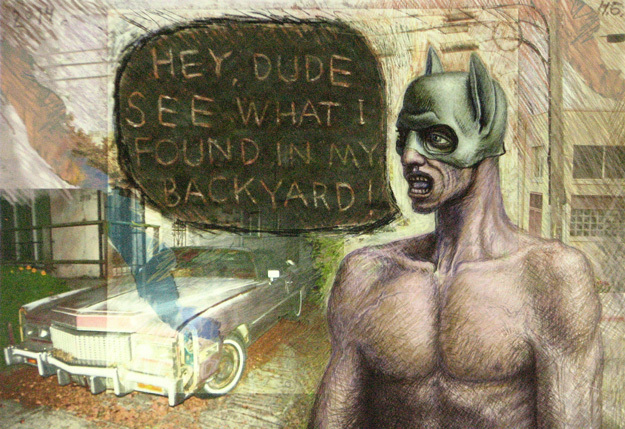 A naked man with mask of Batman talks to his friend. Again of 10th street in Berkeley, CA, USA. The painting above has been created during the time of 27-th CEC ArtsLink Fellowship Award Residency Programme at Kala Art Institute, Berkeley, CA, USA.